VW T5 3D PRINTED CUP HOLDER WITH PIN AND SPRING FOR DRIVERS SIDE. KIT WILL CONTAIN : 1 X CUP HOLDER. 1 X SPRING. Great to keep your drink cool without holding it. Ensure drink to be held securely, preventing spillage. 2, PP material, whole high 205. 2 a cup seat 90 caliber, hole depth 60. 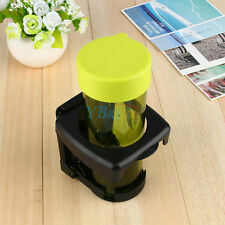 Can place more types of beverage cup, the greatest degree of prevent shaking! 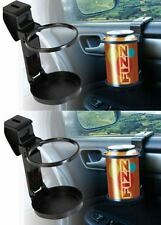 Adjustable Car Door Mount Hanger Cup Bottle Drinks Holder Hang On Car Back Seat. 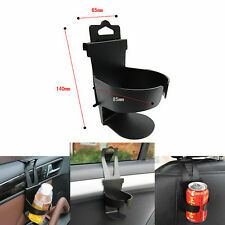 1 x Car Cup Bottle Drink Holder. Installation is simple, easy to use. It can be installed in the car seat back, windows and other places. 2x bottle rack (others not included). Step 2: Then secure the cup holder with screws. Folding size: 9.5x8.6x2cm. Step 1: Choose a suitable place from Holder. Color: Grey. Use in many occasions, including in the car, in the room. Color: Sliver (As the picture shown). Kindly Tip hope you can understanding, will be sincerely appreciated. We will answer or help you to solve the problems as soon as we can. We will be glad to reply and help you to solve any problem. Suitable for W211 E-Class and C219 CLS Models. 1pcs Car Drink Bottle Holder. Can be used in almost all vehicles and fit any can. This Holder Fits Most Car’s Vent With Its Vent Mounted Design. 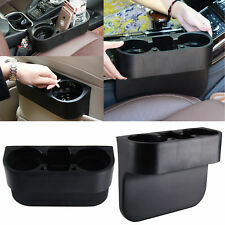 1 Set Car Air Conditioner Vent Outlet Bottle Holder. High Grade ABS Material, Durable And Keep The Bottle Safety In Driving. Adjustable Holder, Fit For Different Size Of Water Bottles. 4x LED Wheel Tyre Tire Valve Dust Cap Light For Car Auto Motorcycle Bike Bicycle. 20925924 Car TPMS Tire Pressure Sensor For Chevrolet Camaro Traverse GMC Acadia. 1156 BA15S P21W 33 SMD LED Car Backup Reverse Rear Light Bulbs White Red Amber. I've converted a few cup holders to fit Audi TT, mines fitted to a 2001 model. When I bought my car it didn't have a cup holder in it, and found when looking for one they where very expensive, what I have actually done with the cup holder is cut it down, shaped it slightly either side at the bottom so it sits on the console, and also drilled the hole on top, so the only thing you have to do is un clip your console and drill one hole,with a 6 or 7 mil drill bit. i include nut and a m6 bolt. Great to keep your drink cool without holding it. 1 X Silver Drink Holder. Ensure drink to be held securely, preventing spillage. Ideal for long distance drives. Made of tough Plastic, compact and lightweight. Manufacture Part Number 7H285860130T. Note VW TRANSPORTER T5 (2003 - 2013)NOTE: PART FITS ONLY RIGHT HAND DRIVE CARS. OEM Part Numbers : 51168217953, 51 16 8 217 953. BMW 3 SERIES E46 (1998-2007). Land Rover. We are not responsible for any labour costs that may incur if there any problems with the part once fitted. 1 Car Cup Holder. Easy to mount on dashboard with adhesive tapes at the bottom. Color: Black Silver(As Pictures Show). The star-scores are very important to us. Citroen Ref Number 9425E4. New and Genuine Citroen Accessory. We are a main dealer for our franchised vehicles. Great construction which can withstand over 60kg weight, abrasion resistant leather ensures excellent durability. Just insert the car seat catcher between the seat and console, a 0.39" plywood is available for a bigger gap. VW T5 Transporter & Caravelle - 2003 - 2015 - Genuine VW Dash Cup Holder/Coin Holder. VW T5 Transporter & Caravelle - 2003-2009 & 2010-2015. 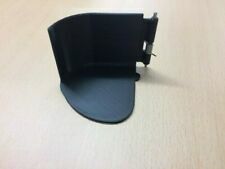 Genuine VW T5 Cup Holder Got a broken cup holder?. We understand. 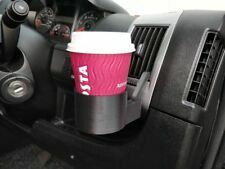 VW T4 Transporter Double Cup Holder. Will Also Fit T4 Campervans. To use: Open the ashtray draw approx 25mm then insert the chicane shaped tab of the cup holder into the ashtray opening. Close the ashtray draw firmly and the chicane shape tab will be clamped into the draw. BMW 2 SERIES F22 F23. BMW 1 SERIES F20 F21. DOUBLE CUP HOLDER INSERT'S / STORAGE. RIGHT HAND DRIVE MODELS! The new design, folding function, can be free to shape, when the fan when the cover, open when the beverage rack can be used, is a practical, simple and convenient fashion beverage rack. 1, the back of the cup holder through the two into the outlet inside the link bar fixed on the outlet. 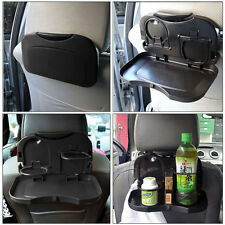 Black Car Van Truck Drink Beverage Water Cup Bottle Clip-on Holder Stand Mount. Suitable for a variety of soft drinks and canned drinks. Here we have a Smart 451 Cup Holder RHD. Picture shows variant for LHD vehicles; variant for RHD vehicles does not have a folding drinks holder ring. Quick and simple to use (simple to operate with one hand). 1 x Double Din Radio Pocket. Function: Drink-Cup Holder Storage Box. 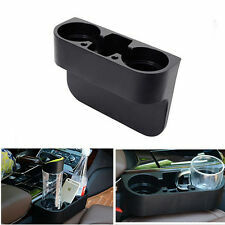 - High performance, Drink-Cup Holder and Storage Box combined into one. We will try our best to reduce the risk of the custom duties. 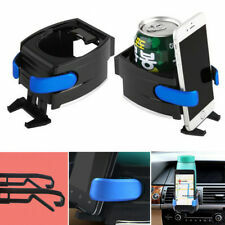 1 2 in 1 Car Air Vent Mount Water Bottle Holder & Phone Holder Bracket. This item is functioned as a car cup holder and phone holder. It's made with premium material for durable and practical use. Here for sale is a VW Transporter T4 centre console with a double cup holder. These units make the most of the unused space beneath your dashboard. We are only human, and occasionally things do go wrong. The back of the cup holder is fixed to the air outlet by two connecting rods inserted into the air outlet. There is a small tongue in the lower part of the cup holder. 1 Car cup rack. Applicable parts: The outlet of car. 1x Pair of LED Car Cup Holder ( with VW logo). Installation Position: Cup groove. Pressing and vibration can be luminous. Car LED light. 7 Colors mode is totally as the picture shows. The pictures are taken by actual products. 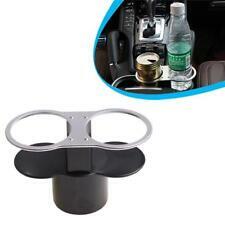 1X Auto Multifunction Cup Holder. fix the holder in the car. FOR SALE AND AT LAST WE HAVE NOW GOT THE SPRINGS AND PINS FOR THE VW T5 CUP HOLDERS, THE SPRINGS ARE RE MANUFACTURED TO VW SPECIFICATIONS SO ARE AN EXACT FIT AS WELL AS THE PINS. 2 x SPRINGS, LEFT AND RIGHT. This sale is for a single right hand side cupholder. The cupholder fits into the coin tray to the right hand side of the dash below the air vent. Bread Crumb Link. Add as favorite. OTHER ACCESSORIES. WHEELS ACCESSORIES. Cup and Phone Holder. TypeDrinks Holder. RRP £ 0.00. Quick Find: 00505. The space of safe place, and it is very convenient to use. Applicable parts: door. FOR SALE IS NEW GENUINE VOLKSWAGEN T5 TRANSPORTER FRONT ASHTRAY CUP COIN HOLDER RHD GREY TO FIT - VW TRANSPORTER T5 (2003 - 2013). Audi cup / storage holder genuine. bottom circumference 75mm. 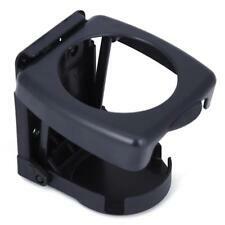 Car door mount drink cup holder and Car Back Seat Drink Holder. 2x car cup holders. Universal type and suitable for all kinds of vehicles. Easy to install, use and remove. We are always making efforts to providing better products and service. 1pcs drink holder. Mounting screw. Color: Black. E CLASS =2016 -2019 (W213). C CLASS =2014 -2019 (W205). THE PICS SHOW IT IN AN E-CLASS. JUST SLOT IN PLACE AND SECURE BY ENGAGING THE CLIP AT THE TOP (SLIDER CLIP WITH AN ARROW ON IT, SEE PIC 2).